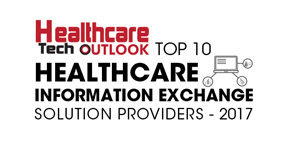 As the healthcare information exchange arena continues to evolve, traversing the labyrinth has become challenging for healthcare providers. How to share data seamlessly and end the struggle in information exchange? Enabling interoperability remains the sole option. In essence, the surging reliance on the proprietary healthcare data exchange system undermines key aspects of information transfer. The outcome is a loss of time and money due to a non- IHE (Integrating Healthcare Enterprise) compliant product. Martin Tiani’s venture—Tiani Spirit—has seized this unique opportunity to solve one of the most challenging issues in the health IT industry. The company offers an arsenal of healthcare data exchange solutions that empower healthcare leadership to conduct accurate and efficient healthcare data exchange. Tiani Spirit’s global presence and expertise in the realm of data exchange can be gauged from the fact that it has over 120 IHE actor/profile certifications. That makes it one of the most comprehensive standard-based clinical document and imaging exchange solution globally. The company enables the healthcare providers to interoperate their systems in IHE (technical framework) with its scalable, standards-based healthcare interoperability platform. Prior to platform deployment, Tiani Spirit provides clients with IHE-based functional information exchange. The solution, SpiritEHR simplifies and accelerates the exchange of medical information between numerous healthcare systems. “Tiani Spirit not just connects multiple physicians, nurses, therapists, and institutes, but educates and supports clients to become IHE-ready first,” says Tiani, President and CEO, Tiani Spirit. Healthcare practitioners and institutions can transfer and utilize data, including lab reports, medical history, and radiology images. With SpiritEHR, healthcare organizations can deliver faster and better patient care as it allows information access from any location and system while adhering to information governance and patient approval. Clients can continue to utilize both existing software and SpiritEHR with the power of integration. You can access IHE-based documents by a XDS and/or FHIR interface for structured data like CDA documents and FHIR resources through a database with Elastic search. The Spirit Clinical Data Repository persists single data entries based on the FHIR Resources without losing the relationship to the documents. Furthermore, full text search is possible. Another highlight and particular strength of Tiani Spirit is the Spirit Access Control which is the most comprehensive consent management and access control component. This solution is frequently used for data protection in datacenters of the public sector with the highest security requirements. Besides the full IHE range, the company also provides Spirit WebServices with the possibility to connect the legacy products in a very short period of time. The goal is to convert the data in an IHE-compliant format. The company leverages the cross document workflow (IHE profile) to streamline the workflows between different health supervisors, and permits the stakeholders to monitor the complete process. One of the many global success stories is about an Austria-based healthcare group located in Lower Austria. The client, an organization of 27 hospitals with a multitude of different information systems from different vendors, was faced with a challenge of connecting them. Tiani assisted the client to operate from the existing information systems with all their user interfaces, and embedded all systems into a new IHE network. Eventually, the client could avail the complete network underpinned by seamless integration without training resources. Martin Tiani sprints ahead with his holistic view of standardized information exchange. He founded a new independent initiative called grapevine (www.grapevineworld.com) which is strictly related to IHE. It allows its whole ecosystem to exchange data through the vendor independent, global grapevine backbone. Martin Tiani invites every software-manufacturer, provider and system integrator to be part of grapevine World—and to be part of the future interoperable healthcare network.